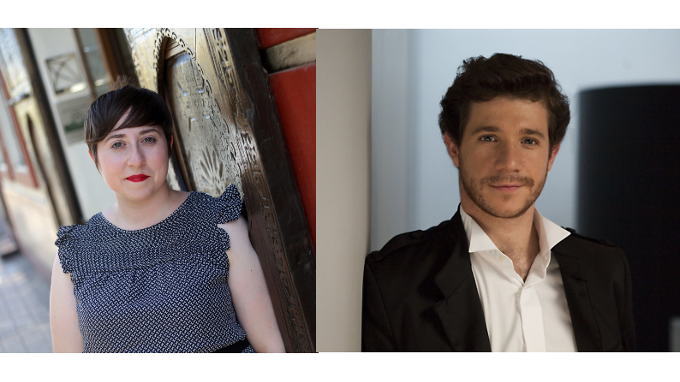 Elena Medel and Andrés Salado have been named the joint winners of the 2016 FPdGi Arts and Literature Award, in the first winners’ announcement of the 2016 edition of the Princess of Girona Foundation Awards, which took place in the Ibercaja Patio de la Infanta space in Zaragoza. After careful consideration, the jury announced its unanimous decision to award the 2016 Princess of Girona Foundation Arts and Literature Award jointly to Elena Medel and Andrés Salado. 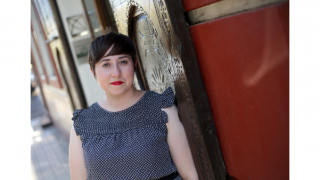 Elena Medel was chosen for her early and brilliant career as a poet, which brings a sense of significance to the daily life she shares with her generation. The jury also highlighted her essay on Machado, which brings this leading figure of the great Spanish tradition to new audiences, as well as her initiative to create a publishing house to produce the work of other poets. Explaining their choice of Andrés Salado, the jury emphasised this percussionist and conductor’s technical and musical skill, as well as his initiatives to bring music to very different audiences, his international recognition and, above all, his charisma and ability to communicate with audiences. On hearing the jury’s decision, the poet Elena Medel was visibly surprised because, she explained, “in this type of award I always assume that I am at a disadvantage, as poetry is not a discipline that interests most people, it is like the little sister of the other literary and artistic genres. However, prizes like this one confirm that a poet is useful for talking and singing about things that nobody else wants to talk and sing about”. Medel also dedicated a few words to young poets just starting out in their careers. “Poetry is a long road. You cannot be in a hurry to arrive, nor try to rush success or the poetry itself. Both things need time to mature. In choosing poetry as a way of life it has been a case of trial and error, creating a professional universe that combines my artistic creation with editorial work, poetry workshops and, now, my most recent project, a cultural management company”. Andrés Salado also expressed his gratitude and encouraged young artists in their careers. “Thank you very much to all the people who have seen sufficient merit in my work to choose me as one of the winners. I would never have thought that something like this could happen to me. I am both honoured and delighted”, he said. “I would like to take this opportunity to strongly encourage our country’s young artists to pursue their dreams and never give up, always moving forward with humility, perseverance and hard work. I would also like to extend my warmest congratulations to my fellow award winner Elena Medel”. 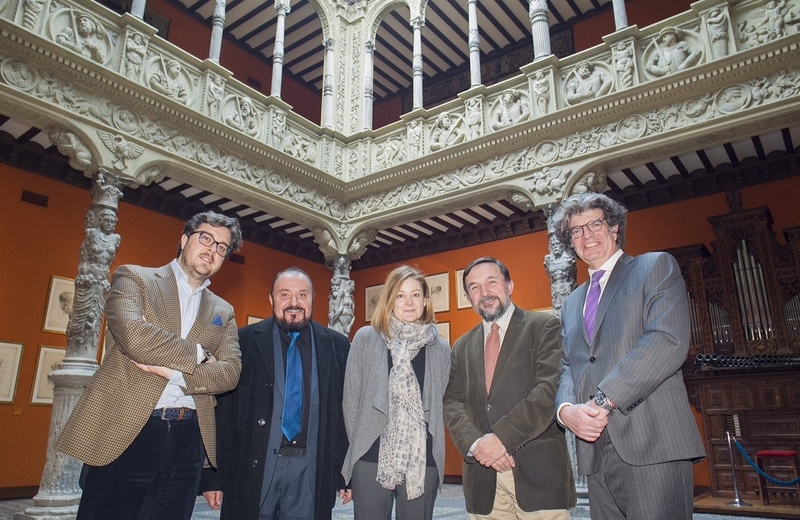 The members of the jury in the Arts and Literature category of this edition were journalist Pepa Fernández Vallés, writer and art and literature critic Sergio Vila-Sanjuán, theatre director Jaime Azpilicueta, writer and journalist Juan Bolea and painter Hugo Fontela, FPdGi Arts and Literature Award winner in 2014. 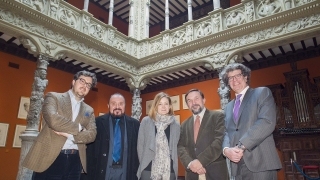 This event in Zaragoza is the first of five ceremonies due to take place during April and May to announce the winners of the Princess of Girona Foundation Awards. Furthermore, it was the first event held by the Foundation in this city, the capital of Aragon, and it included an activity addressed to young people and their interests in the Close Encounters format. More than 40 young people under the age of 35 took part in a lunch meeting with renowned professionals, during which they were able to exchange points of view and discuss their projects and concerns. After the jury had announced the winners, there was a round table discussion entitled “Do you need to be an entrepreneur to be an artist?”, moderated by writer, journalist and filmmaker Luís Alegre, which included local businessman Carlos Barrabés, Juan Bolea, the architect Olga Felip (winner of the 2015 FPdGi Arts and Literature Award), and Hugo Fontela. The FPdGi Awards recognise the innovative and exemplary work of young people aged between 16 and 35 years, and that of an organisation working for young people. The Arts and Literature category recognises talented young people involved in promising work in any discipline of the arts and literature (cinema, theatre, dance, gastronomy, music, photography, painting, video, architecture, fashion, sculpture, literature, design and any other artistic expression), and which serves as inspiration for other young people. Of the 209 nominations presented for this seventh edition of the FPdGi Awards, a total of 47 were for the Arts and Literature category. Elena Medel Navarro (Cordoba, 1985) is one of the most outstanding poets of her generation and founder, in 2004, of the publisher La Bella Varsovia, which is dedicated to poetry. Author of several books of poetry, Elena Medel has been recognised with important awards, including the Andalucía Young Poet’s Prize for her work My First Bikini (DVD, 2002), the 26th Loewe Foundation Youth Creation Award, and the El Público-RTVA Literature Award 2015 for Chatterton (Visor, 2014). In addition, she also collaborates with the media, including Spanish National Radio and newspapers in the Joly Group, and she is the author of the essay “The wizard world. How to live with Antonio Machado” (Ariel, 2015). Her work has been translated into several languages. Andrés Salado Egea (Madrid, 1983) graduated in percussion from the Royal Conservatory in Madrid and studied to be a conductor under Miguel Romea, Peter Rundell, Jorma Panula, Sandro Gorli, Peter Gülke, Peter Eötvös and A. Ros Marbà. He has conducted the Divertimento Ensemble, the Orquestra Sinfónica do Porto, the youth orchestras of Extremadura, Madrid and Galicia, the Orquesta Sinfónica de Navarra, the Salzburg Chamber Soloists and the Lucerne Festival Academy Orchestra, together with Peter Eötvös. 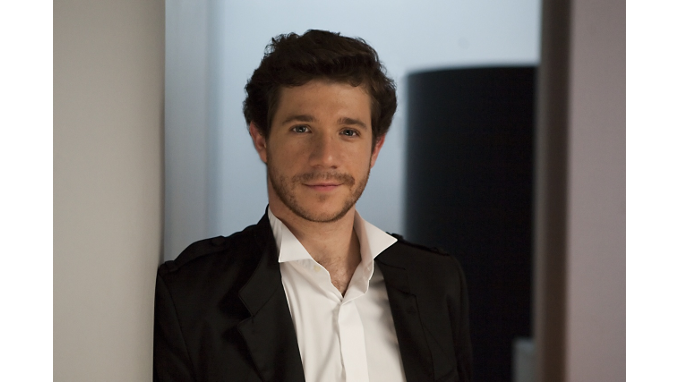 Andrés Salado has performed in some of the world’s great auditoriums, including the Auditorio Nacional de Música in Madrid, the Palacio de Bellas Artes in Mexico City, the Teatro Dal Verme in Milan and the KKL Luzern in Switzerland. Some of his recent engagements include the Orquesta Ciudad de Granada, the Tenerife, Bilbao, Seville and RTVE symphony orchestras, the Oviedo Filarmonía, the Mexican and Colombian national symphony orchestras, the Comunidad de Madrid and Nacional de España orchestras, the symphony orchestras of the Basque Country, Galicia and Madrid, and the Orquestra Simfònica de Barcelona i Nacional de Catalunya. In addition, he is artistic director and chief conductor of the Orquesta Opus 23 and the Orquesta Joven de Extremadura, and professor in the Alfonso X el Sabio University’s Department of Music. Salado Egea has also been resident conductor of the Vienna State Orchestra. The aim of the FPdGi Awards is to promote and foster initiative and effort in the areas of scientific research, artistic creativity, solidarity and the development of talent in entrepreneurial and innovative young people. The FPdGi Business Award, which recognises young people with entrepreneurial initiative who have led or are promoting original and viable business projects that stand out for their positive impact on society. The FPdGi Organisation Award, which recognises the outstanding work of entrepreneurial institutions that work for young people, fostering entrepreneurial spirit, employment and employability, education and academic success, vocation and talent. The calendar of winner announcements for the remaining categories is: Business (5 April, in Granada), Scientific Research (19 April, in Valencia), Organisation (26 April, in Madrid) and Social (5 May, in Barcelona). The FPdGi Awards presentation ceremony, with a prize of €10,000 and a reproduction of a sculpture by Juan Muñoz, will take place on 1 July as part of the programme of two workshops being hosted in the city of Girona. The first day will include various activities for young people in the city’s historic quarter, and a new edition of the Close Encounters meetings. On the second day, the 3rd National Entrepreneurial Education Workshops will be held together with the annual meeting of the participants in the Mentoring Talent programme.